With almost 34 000 students, circa 100 course offerings and 40 Institutes, the historic Technische Universität Berlin is one of Germany’s largest and most internationally renowned technical universities. Located in Germany’s capital city – at the heart of Europe – outstanding achievements in research and teaching, imparting skills to excellent graduates, and a modern service-oriented administration characterize TU Berlin. The range of services offered by our seven Faculties serves to forge a unique link between the natural and technical sciences on the one hand, and the planning, economics and social sciences and humanities on the other. This is indeed a significant achievement for any technical university. These disciplines find concrete expression in around 40 Bachelor’s and 60 Master’s programs. Many of these are indeed unique. 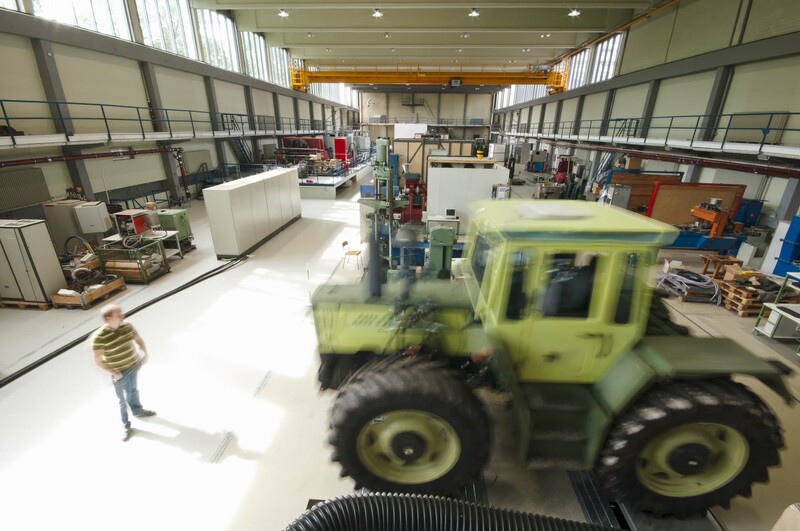 TU Berlin is the only university in the capital region offering engineering subjects. 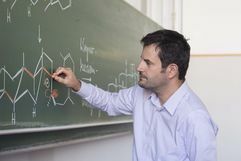 Such scientific achivements are built on basic research in the natural science disciplines of chemistry and physics, and mathematics, in addition to strongly innovation-oriented research in electrical engineering and the computer sciences for instance. TU Berlin has received recognition for outstanding achievements in all these disciplines, for which support is provided by the Excellence Initiative of the German Federal and State Governments, the German Research Foundation (DFG), the European Union, industry and public funding, and whose teams are conducting world-class research. One obvious indication of the university’s performance and dynamic development is the increase in external funding for its research projects from around 125 million euros in 2009, to circa 179 million euros in 2014. For years, TU Berlin has been ranked as one of the top universities in Germany without a medical school. In a clear articulation of TU Berlin objectives, in July 2012 the Academic Senate unanimously decided to actively promote a new vision in research and academics by designating six core research priorities and by defining the related competencies and social obligations. A strategic faculty appointment policy ensures sustainable advancement of excellency in important diciplines. Beyond its own borders, both domestically and abroad, our university is the motor, initiator and beneficiary of numerous academic and professional networks with partners in science and industry. Strategic alliances and numerous start-up activities serve to promote hands-on knowledge and technology transfer. or E.ON are involved in various co-operative projects with our university and actively promote technology and knowledge transfer. The 14 endowed chairs and several affiliated institutes are also reminders of TU Berlin’s excellent extramural reputation. Companies not only provide investments, they also offer hands-on training and support numerous students with scholarships, lecture series, and excellent career opportunities for graduates. 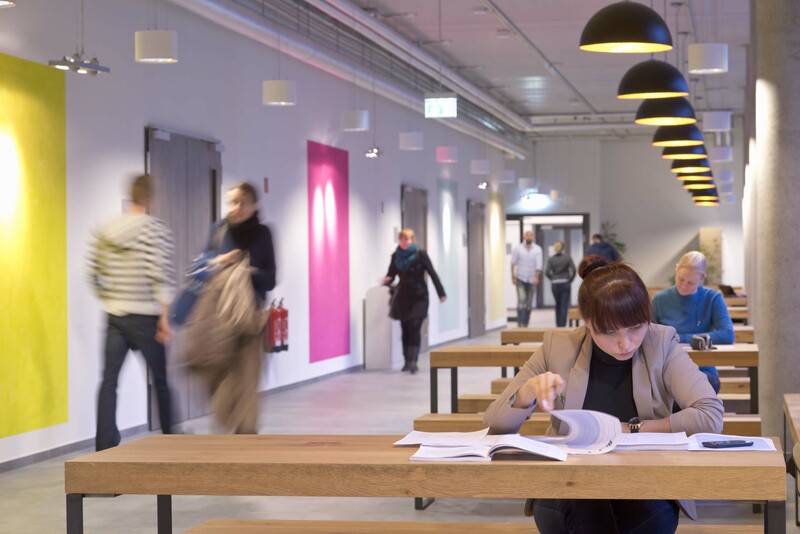 The Deutsche Telekom Innovation Laboratories is one outstanding example of such networking. Their mission is to conduct research for the telecommunications company and they sponsor several TU Berlin chairs. The TU Campus has been home to the ‘Labs’ house since 2004, where around 360 experts and scientists from more than 25 nations work under the same roof. As an important actor in Berlin and Brandenburg’s world-class scientific environment, TU Berlin selectively promotes scientific networking. In addition to their usual academic activities, around 60 of our top-notch researchers exercise managerial functions in extramural research institutes. 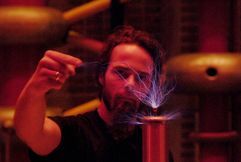 These include the Fraunhofer Society, the Leibniz Association, the Helmholtz Association and other important and publicly-funded research facilities. The TU Berlin attaches great importance to the promotion of science-based start-ups and spin-offs by providing guidance and supervision for around 40 start-up initiatives each year. It also serves as a magnet for companies interested in establishing themselves on or near our campus. Based on the results of a nationwide competi-tion we have earned the title “EXIST start-up university”. Internationalization is a basic principle of all scientific activities. The university’s internationalization strategy adheres to the concept of strategic partnerships with top-notch universities abroad. These include TU Warsaw, NTNU Trondheim, TU Vienna, TU St. Petersburg, POLIMI Milan, and - since 2017 - the University of Technology Sydney. These partnerships serve to encourage broad-based cooperation and to promote diverse joint activities in research and teaching. A further building block consists of strategic cooperation with science institutions in the three target regions of Eastern Europe, South-East Asia and South America. 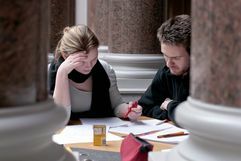 TU Berlin currently offers 26 dual-degree programs in conjunction with partner universities in England, France, Poland, China, Russia and Chile, in addition to 17 English-language Master’s programs. International students from more than 130 countries make up about 20 percent of the student body. In the Alexander von Humboldt Ranking, TU Berlin currently ranks second among all technical universities. Other statistics further underscore the university’s interna-tional approach: TU professors alone were involved in 1500 cross-border cooper-ation projects between 2009 and 2011. In 2012, around 120 international science agreements were in force at the central university level. Family-friendly, equal opportunity and workplace health policies ensure a sustainable and attractive university. TU Berlin has earned the European seal of approval as a “family-friendly university” and is a multiple recipient of the Total E-Quality Award for promoting equal career opportunities for men and women. The German Research Foundation (DFG) has already twice awarded us its highest rating for how we reconcile work and family life. We are the most highly rated university in Germany in the nationwide CEWS ranking of equal opportunity aspects. A Dual Career Service, a Family Support Center, a TU-DOC Office and a School Outreach Center are practical examples of the modern instruments provided by TU Berlin to attract and actively serve its members. Promoting good health and fitness is also an important university task. 800 sports courses alone are offered each semester. Moreover, TU Berlin with its Olympic Athletic Center (Olympiastützpunkt Berlin) is a partner university in top athletics. We also actively support students involved in high-performance sports, whose participation in the Olympic Games, world or European championships demonstrates the successes of this university support program. Students, Scholars and guests have access to on of Germany´s most modern science libraries with its three million items in various media and 30 000 square meters of floor space. 1300 work stations in various forms, campus-wide wi-fi, 300 computer workstations, several meeting rooms, multimedia workstations and a lounge area are used intensely by as many as 3100 visitors each day. TU Berlin has also adopted a new approach to campus IT infrastructure. Our main campus – Campus Charlottenburg – operates the largest wireless internet access network of its kind in the world. The TU facility “innoCampus” aims to strengthen and develop the available competencies in the areas of e-learning, e-teaching, e-research and e-science. A modern, expandable, dependable and sustainable IT infrastructure for research, teaching and administration supports these activities. The aim of the IT service center ‘tubIT’ is to efficiently provide basic services and support for the development and introduction of an IT infrastructure tailored to the needs of re-search. In 2013, TU Berlin initiated a vison of its own future. With broad support from all status groups, the university adopted a strategy for future university priorities up to the year 2020. These ranged from establishing a new culture of teaching and learning and further developing of quality management systems, to promoting diversity in career paths, reinvigorating existing structures and developing modern campus management approaches. The City of Berlin itself is another major benefit of studying and working at our university: TU Berlin is a vital component of one of the world’s most interesting metropolitan cities. Few other regions can boast such highly concentrated scientific and research activities as does the “City on the Spree”. 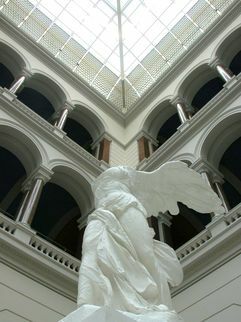 Around 200 000 people from around the world teach, conduct research, work and study at Berlin’s four universities, Chari-té – University Medical Center Berlin, seven universities of applied sciences, three art academies, 18 private universi-ties, as well as more than 60 research institutions. Important national research organizations such as the Fraunhofer Society, Helmholtz Association, Leibniz Association and Max Planck Society maintain several institutes here, in ad-dition to eight research facilities of federal ministries. In the area of higher education alone, Berlin invests around 1.5 billion euros each year. But the city has much more to offer. Berlin is a cosmopolitan city: people from 195 different cultures and countries help to mold and to shape the colorful cityscape. Berlin is dynamic: The impacts of the political and historical upheavals of the 19th and 20th centuries can be seen everywhere. Virtually no other major city has reinvented itself as often. The formerly divided city has emerged as a European metropolis with an international flair and strong global appeal. Berlin offers excellent quality of life, it is indeed a city that combines innumerable parks and green areas with urban living. Each neighborhood has its own character – ranging from “multicultural” to middle-class. Berlin is creative: a big city promoting big ideas. Worldwide, the “City on the Spree” is in high demand for those wishing to establish companies or to exploit marketable ideas. The high number of academic spin-off companies has since become an important economic and business location factor. Berlin is culture: the city’s lively cultural scene is characterized by more than 170 museums, more than 40 theaters and opera houses, in addition to innumerable galleries, concert halls, cinemas and other event locations. The great potention of the university, its members and partners makes TU Berlin one of the most attractive addresses in the German capital. 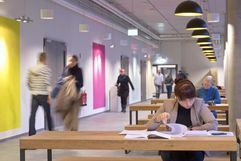 In addition to our main campus situated in Berlin’s Charlottenburg-Wilmersdorf district in the heart of the “City West” area, TU Berlin also maintains two further large campuses in Berlin. One is located in the historical industrial district Wedding, and the other on the property of the famous “Gasometer” in the Schöneberg district. Individual laboratories, TU buildings and sports halls are also scattered around the city. In late 2012, the university inaugurated its first satellite campus on the Red Sea in El Gouna, Egypt. With around 35 000 students and more than 9 000 employees, Campus Charlottenburg is the largest contiguous inner-city university campus in Europe. It is also one of Germany’s most diverse locations for science, art and design, all firmly embedded in the middle of the German capital and one of the most important metropolitan areas for science in Europe. Situated directly on Ernst Reuter Square, not far from the Zoologische Garten station and Kurfürstendamm Avenue, Campus Charlottenburg is home to most TU Berlin institutes and the main administrative building with its Auditorium maximum. The internationally renowned Universität der Künste (Berlin University of the Arts) with a long and rich tradition is located right next door and is one of the largest and most diverse arts academies in the world. The close cooperation that exists between the two institutions is indeed unique, particularly in technology and design subjects. Such close collaboration provides students with numerous possibilities in terms of acquiring a modern education and promoting innovative product design, transdisciplinary approaches, and new avenues of cooperation with industry. The joint project “Hybrid Platform” purposefully links concepts from the spheres of art and technology, thereby creating a network in which various disciplines can thrive. The tradition of science facilities located on Campus Charlottenburg dates back to the last third of the nineteenth century. These institutions include the Physikalisch-Technische Bundesanstalt (Physical and Technical Institute), founded 125 years ago, scientists such as Hermann von Helmholtz worked here. 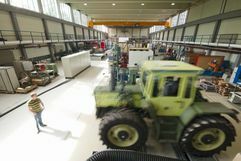 In addition to TU Berlin and the Universität der Künste, Campus Charlottenburg is also home to its own private universities and several non-university facilities, for instance the Produktions-technisches Zentrum (Production Technology Center). In its giant research hall or “Factory of the Future”, university research and teaching endeavors coexist fruitfully with the industry-oriented applications of the Fraunhofer Society. Where today more than 20 departments of TU Berlin are located, the electricity boom of the late 19th century signaled the beginning of an entire industry. Back then, the AEG factories were thought to form a kind of Elektropolis. In the 1980s, TU Berlin took over this area and opened the first German technology and innovation park (TIB) and start-up center “BIG”. This ushered in a new form of practical support for young innovative firms in Germany. This model has since served as a blueprint for many similar institutions around the country. In addition to civil engineering, building physics and building construction, further TU chairs located here carry out research in the fields of motorized vehicles, traffic systems, biotechnology and food chemistry. The Fraunhofer Institute for Reliability and Microintegration is another campus neighbor. Economic diversity and new potential for innovation characterize the orientation of these on-campus firms. Around 150 on-campus firms are also world leaders in developing high-tech products for the global market. This spectrum ranges from production, development and research companies, to applications and service firms. The Humboldthain Technology Park is home to all these enterprises. In close cooperation with EUREF AG, a new TU Berlin campus has emerged on the property of the former Gasometer in Berlin’s Schöneberg district and was inaugurated in October 2012. Three advanced Master’s programs dealing with the issue of “City and Energy” are offered here. This facility comprises 1700 square meters of floor space of an historic red brick building called “the water tower”. These course offerings are fully integrated into the overall structure of the European Energy Forum (EUREF). Companies and research institutes addressing the topic of “Intelligent city for work, research, education and living” are finding homes here. These endeavors focus on developing energy-efficient buildings and CO2-neutral energy supplies. Through close cooperation between science and teaching on the one hand, and research and practical applications on the other, the EUREF-Campus serves as a powerful test platform for a sustainable model city. TU Berlin’s new satellite campus is situated directly on the shores of the Red Sea in El Gouna, Egypt. In the context of a public-private partnership project that is unique in all of Germany, an approximately 10 000 square meter modern campus has been built with its own Auditorium maximum and library, in addition to seven further buildings housing seminars, offices and laboratories. This initiative project was made possible by the very generous monetary and principled commitment of TU alumnus and entrepreneur Samih Sawiris. His goal: to provide as many young people as possible in Egypt with an excellent education in engineering as he himself enjoyed while a student in Germany at TU Berlin. A new TU Berlin Central Institute was tasked with developing three advanced Master’s programs in the areas of “Energy Engineering”, “Urban Development” and “Water Engineering”, which were initiated in 2012 on TU Berlin’s “Red Sea Campus”. TU Berlin is the first German university to offer degree programs in Egypt with a curriculum that is subject to the provisions of German university legislation, both in terms of course content and structure. The city of El Gouna was built on an artificial lagoon; in Egypt it is considered to be a model project in terms of environmental impact and resource efficiency. The new Master’s programs are meant to give students the qualifications they need to help find solutions to regional challenges: extracting renewable energy from the unlimited sun and wind resources, in addition to ensuring clean water supplies through desalination and recycling. With this new satellite campus, TU Berlin has at its disposal a unique flagship project that further strengthens existing internationalization and training strategies. Moreover, the new El Gouna Campus provides direct access to research challenges and projects in both the Middle East and North Africa and helps our university to ensure quality education in that part of the world. Member of "TU9 - German Institutes of Technology"
Member of Berlin Partner GmbH: "Berlin Sciences"